When it comes to Delver decks in Modern, Snapcaster Mage is the most obvious second creature to feature, though over the years I’ve rounded out the threat base in a lot of different ways. Tasigur has been great for me as of late, though I’ve put Young Pyromancer, Monastery Swiftspear, and even Vedalken Shackles to work at different times. I’m always on the lookout for new technology, and the most recent card to catch my eye for Modern Delver is Spell Queller. Given the recent evolution of Delver decks, Spell Queller doesn’t make a ton of sense. Tasigur, the Golden Fang was a godsend for Delver decks because it’s strong against both Lightning Bolt and Abrupt Decay. Spell Queller offers no such resilience, though I was drawn to it in spite of this because against decks with few or zero interactive spells the card is just a significantly upgraded Mystic Snake. What I find particularly intriguing about Spell Queller is that it doesn’t counter the spell, it just exiles it. This gives the card a unique edge against both Lingering Souls and Cavern of Souls. I knew going into brewing Spell Queller Delver that I was making myself weaker against Jund, though I was making myself stronger in at least a few other matchups. Being mostly satisfied with Grixis Delver, it just makes sense to port most of what I was working with there to the Spell Queller build. Four Spell Snare has been consistently exceptional, and obviously Lightning Bolt was coming along for the ride. Thought Scour doesn’t make much sense without delve creatures and Kolaghan’s Command though. Losing Terminate is also significant, and in a tempo deck Path to Exile will almost always be worse. Having a catchall removal spell is just too important for these decks to leave it on the bench, but the tension with Path and Mana Leak is something that I just can’t abide. As such I made a transition to Remand, which offers a great tempo curve of Remand, Queller, Snapcaster-Remand. As for the Scours, it only made sense to start slinging Lightning Helix. This deck is markedly different from Grixis Delver despite having a ton of overlap. Jeskai Delver is locked more into a tempo-style gameplan with the transition away from the hard answer of Mana Leak in favor of Remand, and it also has access to a ton more reach with Lightning Helix. It’s worth mentioning that I’ve added a 21st land to the deck. This deck places a higher importance on hitting its third land on time given the density of three-drops, and its fewer cantrips make a higher land count more important. I don’t really like having two basic Islands because they doesn’t cast Lightning Helix, though having the second against Blood Moon decks is too important to cut. It is the 21st land. These changes make it so this deck is much better at playing against decks that aren’t trying to interact, though worse against opponents that are good at forcing you to play interactive games. The inclusion of Helixes makes it so opponents aiming to beat down will have a tougher time of it, and also gives the deck a higher raw count of removal spells. The inclusion of Spell Queller offers what is basically a hard counter against non-interactive strategies. Basically, any deck not casting Lightning Bolt is going to be a little sore about getting Quellered. The two matchups I would really like to highlight in this section are the two matchups most commenters seem concerned about: Merfolk and Burn. People tell me that I’m supposed to lost consistently to Merfolk with Grixis, though when you just kill their lords they’re not doing anything remotely powerful. Sideboarding Magma Spray has often been enough for me to stop them from getting off the ground, and this build’s higher density of removal spells makes this match feel like a breeze. Their most powerful card is Silvergill Adept, and access to Electrolyze enables you to make up that card advantage in games where it matters. Path to Exile makes Master of Waves less of an issue, and Spell Queller messes up their Cavern of Souls game plan. It’s also notable that if you kill all of their lords, you can probably utilize Spell Quellers ability of being a 2/3 with flash to eat some of their creatures in combat. I’ve played this matchup a few times now including a game where I sequenced like a moron and it seems like the Jeskai build has room to make several mistakes and still win convincingly. Saying that Burn’s matchup is fine with Grixis has been an easier sell, though it definitely improves when you add four Lightning Helix to your deck. This is another matchup where Spell Queller is just good in combat, and while Grixis requires pretty tight play against Burn, Jeskai will give you some hands where you just clobber them with room for error. Beyond that, this deck will be better against basically all of the linear decks. Spell Queller is both a clock and a counterspell, and a phenomenal supplement to Snapcaster Mage in these matchups. You lose some game one points with Remand over Mana Leak, in particular against Titan Shift, though with the Mana Leaks coming in post-board I believe you gain considerable percentages in all of these matchups in three-game sets. The last general advantage I’d like to highlight is subtle, but likely to matter in the current metagame: Jeskai doesn’t care at all about graveyard hate, while such cards are reasonable tools against Grixis. I have found that Thought Scour matches up very well against Relic of Progenitus, and you can Spell Snare Rest in Peace if it even matters, though Leyline of the Void can really mess up some hands. I wouldn’t say that graveyard hate is a significant concern for Grixis Delver, though this advantage is non-zero in favor of Jeskai. The most glaring chink in the armor is against Jund, and this likely carries across to any interactive Lightning Bolt deck. All of your threats are extremely fragile here, and without Mana Leak you are much weaker to Liliana of the Veil. It’s not even reasonable to board Leaks in, because Path to Exile is too important against Tarmogoyf. Losing Kolaghan’s Command is also significant, as it technically gave you more access to Snapcaster Mages, which is far and away the best card in the matchup. This matchup is the reason you see Gideons in my sideboard. Gideon is pretty exceptional as long as you’re able to keep the board clear of creatures, and in particular he smashes Liliana heads up. He can get hit by Maelstrom Pulse, though the only reasonable option that doesn’t succumb to that is Keranos, God of Storms, and I really wanted multiple copies of something for this slot as well as something faster. Even with the sideboard Gideons I would not consider Jund necessarily positive, though you have a fighting chance. Something to keep in mind is that in a heads up battle against Liliana you likely want to cast Spell Queller just to attack the Liliana rather than to exile it. If you exile it and they Bolt your Queller that’s pretty bad for you, but if you attack it after they plus then they have to minus it just to one-for-one your Queller. Or, if they otherwise kill your Queller, the Liliana is still dead to your Bolts when taking this line. The other big matchup where you lose some points is against Tron. Getting an early Delver or Tasigur is your best avenue to beat Tron with Grixis, and even damage from the sideboard Countersqualls is a significant lost. You’re a bit slower (or more accurately, have access to a lower percentage of aggressive starts), which means Tron will have more time to set up. Once they do they’re just playing a different game. This is the reason that I sideboard Crumble to Dust in the Jeskai build. You need a hammer here because you are at a fundamental disadvantage. I don’t have a ton of experience with Jeskai against Tron, but I have enough to say that Grixis is better positioned here. 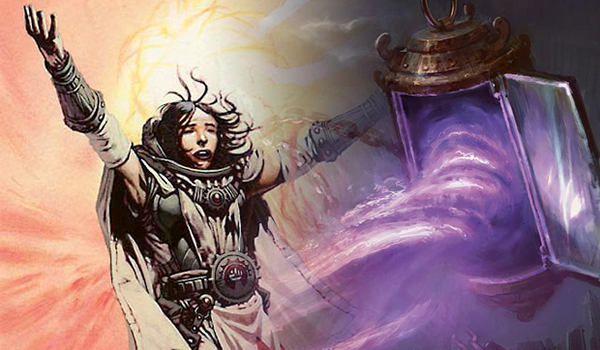 When comparing the two decks, the matchups are different enough that it’s hard to say one is just better in Modern. Assuming that’s true, Jesaki Delver passes the deckbuilding test of not being a worse something else. Given that this deck is considerably weaker against Jund, the default deck for a lot of player at events like the SCG Invitational, I would say that Grixis Delver is better suited for such a field. Jeskai Delver could very well be the better choice for something like an Open or Grand Prix field. I think the deck is ready to go if you wanted to tempo your way through SCG Orlando this weekend, though again, you’ll want to put time into the interactive matchups as you’re not favored and your margin for error there will be slim. The last thing I would like to point out is that this manabase will definitely change with the release of Kaladesh, and probably isn’t even correct right now. Grixis Delver doubled up on the fetchable blue duals in part because you could Thought Scour one away, but this deck probably doesn’t need a second Hallowed Fountain. Beyond that, this deck cares a lot more about Spirebluff Canal than Grixis does. Grixis is trying to fuel delve, so fetchlands matter, whereas the manabase for Jeskai will need to be re-imagined in a few weeks. If you do decide to pick up Jeskai Delver for the Open this weekend or the Modern PPTQ season, I hope you crush it. If you make a major breakthrough in the Jund matchup, I am definitely interested! What are your thoughts on Spirebluff in Grixis? I love the fact that they can provide painfree necessary mana on turn one much like Cliffs does for Jund but i’m at least somewhat concerned about cutting extra duals/fetches to make room. I’ve been goldfishing it with 4 Canal cutting a fetch a steam vents and the mountain, and going up to 21 lands to make room for the 4th. It hasn’t been perfect but it’s felt alright. Have you tried it at all? You will find the answer to your question near the end of the article. Have you ever played any Temur Delver builds? Really curious how you feel both about the Todd Andersson “Temur box” build with more lands and 4 Snaps aswell as Jordan Boisvert heavily tempo oriented build with only 17 Lands, 1 Snap and Disrupting Shoal. I believe that the Temur builds rely on a much less volatile metagame than you’ll see in Modern. They can really only be built with a heavy focus on Tempo, and if that’s the gameplan I like this build quite a lot more given that I get both real removal in Path and a disruptive creature in Queller. The Temur decks are going to have the same problem that this deck has with Jund in addition to having weaker tools in general, and heads up against Grixis I would never pick Temur. I do think that Temur gets the best threats of all the delver variants though. Imo Hooting Mandrills is better than Tasigur or Zombie fish, and goyf, while probably much weaker ín that shell than GBx, is still a silly creature. The sideboard plan with traverse the ulvenwald + bedlam reveler is really intreaguing, maby more cute than good but who knows. Wouldn’t Geist of Saint Traft be helpful against tron? If you protect it from sweepers (and with that counters suite it’s definetly possible) I think it sets up a pretty good clock. It’s very medium. The problem is that it comes online the same turn that they can start casting Wurmcoil Engines and Karns. If you want a Gesit plan you also probably want four of them. Seems much worse than Crumble. Thanks for the article! I was testing UW Delver with Spell Queller the last days and maybe it is too cute but i was thinking to try Rattlechains, what do you think? Could be that in Jeskai Snapcaster is too important because of the bolt effects but flying is in my experience amazing in modern, especially with flash. The bonus of protecting each other or Spell Queller is also nice. I hate mana leak and remand with path so i will probably go up to 4 Spell snare and maybe 1 Negate main. I think there is a strong argument for maindeck Negate, though there is also no shortage of creatures in Modern, and Remanding your own things definitely comes up. I’m fully on board with hating Path with Leak, though not having Remand makes you a little too weak to things like Titan Shift and dedicated combo game one I think. Cutting Snapcaster is never correct in these styles of decks, though Rattlechains is something that crossed my mind. It’s worth experimenting with, and I believe it to have potential in Modern though not necessarily in this deck. Im also playing remands but still would prefer to not give them extra mana 😉 One question concerning spell snare: I think they are fine to good against the new abazan version with flayer and collective brutally, especially on the draw? (in your sb guide with grixis you suggested to board them out against) which brings me to: i have a tendency to keep spell snare more likely after boarding when im on the draw to prevent “blowouts” by cards i otherwise cant interact with. Yeah, the new versions likely require re-evaluation. I have found Grim Flayer to be colossally disappointing and most often Bolt-able, though if they’re just a bunch of twos obviously Snares are great. If they’re on multiple copies of Brutality then I’m definitely about having Snares. It might be too light on lands, like you said you really want that 3rd land and too heavy on removal instead of counters. I really like the 4 counters in the sideboard. I changed the electrolize to a 2nd Dispel in the main to protect Spell Queller, but it doesn’t feel enough. The Vapor Snags are nice to get extra value out of Snapcasters or to protect Queller and what’s exiled with it. Against Jund/Junk Young Pyromancer could help with Lilianna and Spell Queller hits Abrupt Decay and sideboard cards like Thrun. But Quelling a Decay could set you up for a removal-chain when they have another removalspell. You don’t have alot of the white sideboard options in your list. Stony Silence is also great against Tron when you have it early. In my experience Young Pyromancer just eats a kill spell against the GBx decks, but it might be possible that with a high enough threshold you can start to just overpower them. There is the problem that your Delvers and Pryos get weaker the heavier your land and threat count gets, so I’m not sure it’s the direction that I would like to move, and the higher threat density definitely hurts in matchups where you’re trying to interact on the stack. I agree with your findings on Dispel. I had one briefly and cut it almost immediately, as I don’t think the deck really has room for maindeck cards that are sometimes good. Obviously Path can be dead, but it’s a “sometimes great” not just good. I assume Vapor Snag is about the same, as it has been when I’ve tried it in other builds of Delver. RiP doesn’t really hit the stuff that you especially care about against fair decks, and I would not employ that strategy. It dilutes your deck and isn’t a must-answer. I had it on MTGO when Dredge was huge though it’s even kind of slow there. Stony Silence is fine against Tron, yes, though Affinity is a great matchup and I’ve been more happy with Crumble that hits Tron and Valakut, which add up to both be more troublesome matchups and just a larger share of the expected metagame. I think Wear/Tear is mostly just a worse Explosives, but it’s totally fine. I’m very much not a Blood Moon guy, but I also don’t think I could talk a Bloom Moon person off of it. Hey Ryan, thanks for the article, I found it to be a great read. I’ve been toying with a spell queller build in esper that I’ve been having some success with. I’ve put together a processor control build that uses Wasteland Strangler to process off the exiled card. Eldrazi Displacer serves as a great way to get multiple uses out of our quellers. Queller is a fairly skill intensive card, it takes a fair amount of getting used to. I’ve learned that players need to be a bit judicious when determining when to toss a queller out. Just wanted to get your take on the idea of processors and quellers in tandem. There are going to be matchups where the Strangler/Queller interaction is back-breaking, but it sounds like a very meta-specific deck. Your stuff is pretty expensive relative to Modern as a format in addition to not necessarily mattering against the big mana deck. That puts you in an awkward spot. Normally, I’d agree, but thankfully Eldrazi Temple alleviates some of the pain of expensive cmcs. I’m also running a pretty hefty support package. My disruption package is (3 Inquisitions, 2 brain maggots, 3 TKS) , and some removal (3 paths), in addition to a potent counter package (3 Remands, 2 delays). I also am running two Ulamog’s nullifiers along side of my 4 quellers to complete the control suite. Life would be a dream if I could run 6 temples, but alas, rules are rules. Thanks for replying.